President Abdel Fattah al-Sisi was confident announcing the name of the new Transport Minister to replace Hisham Arafat, who resigned from the position as a gesture of responsibility for the accident at the Ramses train station. 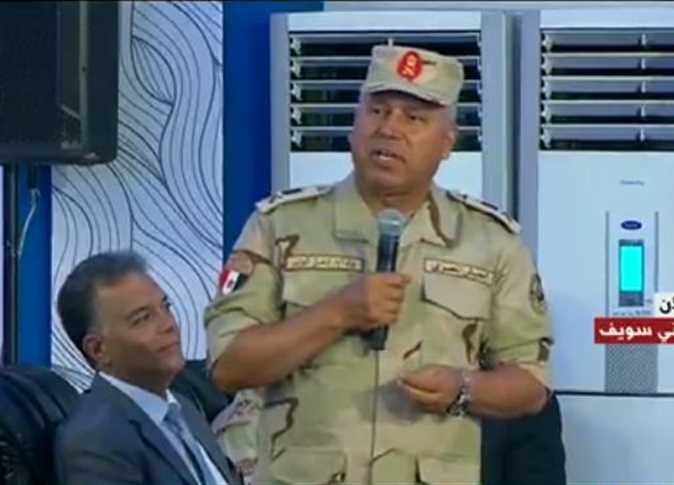 The man responsible for Sisi’s confidence is Lieutenant General Kamel al-Wazir, head of the Engineering Authority of the Armed Forces, a man known for tackling difficult tasks that require speedy completion and precise implementation. Wazir graduated from the Military Technical College on July 1, 1980 (Civil and Architectural Engineering). He received several certificates–most notably a Masters in Military Sciences–and completed courses in the College of Command and Staff, the Fellowship of the Higher War College, the Nasser Higher Military Academy, and the Senior Leadership Higher Course. He climbed the ranks in the Engineering Authority, working various jobs in the sector until he became the director of the Engineers Corps in the Armed Forces and held that post for three years. In July 2014, he was appointed Chief of Staff of the Engineering Authority of the Armed Forces, and in December 2015 he was promoted to the position of Chairman of the Engineering Corps of the Armed Forces. Wazir supervised the implementation of a number of important projects, most notably the digging of the new Suez Canal, developing the al-Jalala Plateau in Ain Sukhna, and digging the side canal at the East Port Said Port. He has received many awards and medals including Medal of Long Service and Good Example, and the Medal of Military Duty, first degree.